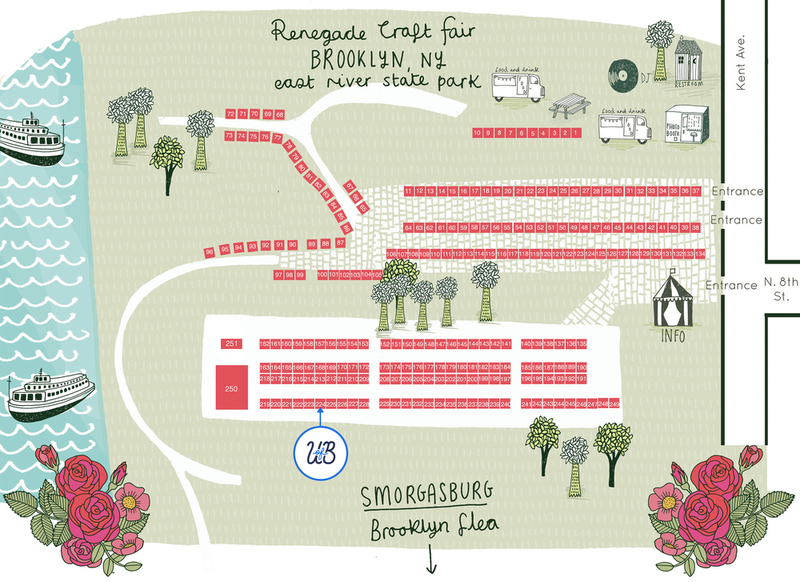 On June 22nd and 23rd Austin Eustice and I are going to be selling our fancyboy wares at the Brooklyn Renegade Craft Fair on the Williamsburg Waterfront. We've got posters, prints, patches, comics and the odd painted baseball bat for sale. We'll be operating a booth under our variety shop, U of B. We don't have a website yet but you can see some of our hot items either here on Mister or over on Mr. Eustice's store page. There's going to be a fuckload of awesome artists at Renegade selling great stuff for your apartment and/or body and/or cat so bring some dollar bills. Sidenote: We'll be accepting credit cards too. Chances are it'll be hot & sweaty so if you show up and bring us a lemonade or a tasty treat you can have a patch of your choosing; That's our U of B Promise! Renegade goes all weekend from 11 - 7 so please do stop by! It's at East River State Park but I've never heard it called that before!